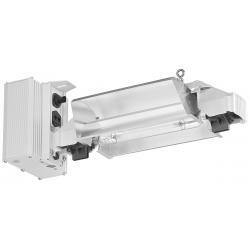 The new Gavita 6/750W 400V EL DE lamp has an efficiency of 2 µmol s-1 per Watt in a wide control range of 600-825W. Now that is flexibility! 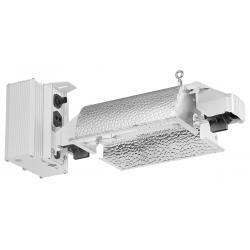 At 825W it rivals air cooled 1000W HPS fixtures with an output of 1650 µmol s-1, while outshining the best 600W lamps at 600W. When necessary it can be dimmed down to 375W. Of course it is suitable for the Gavita Master Controller, eliminating the need for timers and contactors. 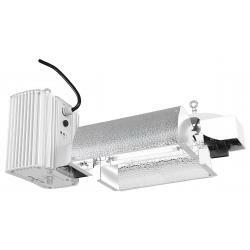 This fixture is suitable for lighting a 15 sq ft area with 1000 µmol s-1 m-2. Unit includes a 240 V power cord. A 120 V cord can be purchased separately. 906023 operates at 277-347 volt. 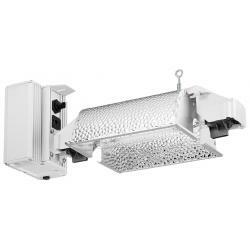 This professional fixture requires installation by a certified electrician in an industrial environment.